The arrival of a new vintage of Bouchard Finlayson's Blanc de Mer is always a pleasure to contemplate. This hugely popular white blend, an annual delight is fairly unique in that it is Riesling-led and usually contains five other white cultivars. As in previous vintages Riesling predominates with 60% in the 2017, the remaining mélange being 20% Viognier, 13% Chardonnay and 5% Sauvignon Blanc, finished with 2% Semillon. The bouquet is delicate and flowery, but on the palate there’s both a firm foundation thanks to the personality of Riesling, along with a mix of stone and autumn fruits. A creaminess adds another delicious aspect to this crisp fresh well balanced combo that makes both a charming aperitif as well as a joyful companion to seafood and late summer salads. All grapes are sourced from the cool South Coast region, where Bouchard Finlayson is beautifully sited in the Hemel-en-Aarde valley . Alcohol levels of 13% are moderate sand the 2017 is fine proof of consistent quality . Peter Finlayson has been producing this popular Cape white for many years, and Chris Albrecht has been working alongside him for the last seven years. 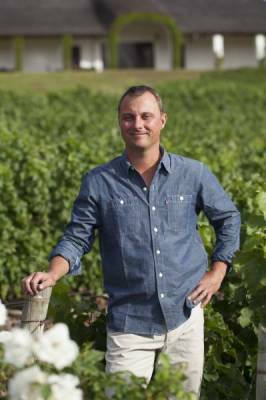 Now Chris has been appointed winemaker, heading production since the 2017 harvest. Prior to joining Bouchard Finlayson Albrecht gained experience in cellars in New Zealand, France, and back in South Africa spent our years making the wine at Topiary in Franschhoek. The Blanc de Mer is in safe and talented hands. Wine, art and design meld seamlessly in the Carrol Boyes portfolio. It seems fortuitous that this renowned designer of fine functional art has a brother – John Boyes – who is not only a farmer but whose partner and friend Neels Barnardt is a wine industry veteran. It must have been a natural progression to introduce wines to complement and enhance the lifestyle products. Winemaker Hendrik Snyman is responsible for the wines in the Sketchbook Collection, a range of six Intriguing limited edition wines, consisting of a rosé, chardonnay, chenin blanc ,cabernet sauvignon, merlot and red blend ( an imported champagne provides the bubbles). Vintages range from 2014 to 2016, with the bubbly a Gallic museum edition at 2006. Chenin blanc and rosé were the duo I sampled, both 2016 vintages, and both presenting sensible 13% alcohol levels. The Sketchbook rosé is an all-cinsaut affair produced from dryland Swartland grapes. Its attractive smoked salmon tint well suits the characterful wine that offers a dry briskness more assertive than most easy-drinking pinks. This is a rosé with attitude, not content just to offer a berry salad but cinsaut backbone in an autumn appetiser. It will also happily complement complex salads featuring seafood or poultry or partner a gourmet picnic with panache. As with all the Sketchbook wines, Carrol Boyes designed the label, this one featuring her chosen model with a pink gloved hand, beckoning to be unscrewed.... It sells for R90. To the chenin blanc, which, sadly does not offer a screwcap, but it's well worth hauling out the corkscrew. Like the rosé, bottle age has no doubt benefitted this wine, produced from dryland grapes in the Darling area. Left on the lees for three months before bottling, the press release states that no portion was wooded while Cathy van Zyl’s comment in Platter 2018 refers to a “well-handled 20% oaked portion.” This is a complex chenin, good structure alongside agreeable freshness to complement flavours of stone fruit . (I don’t detect the explosion of green apple mentioned in the press release.) If asked, I would have guessed that some wood was used to add depth to this chenin adorned with our lady, this time green-gloved, who seems to be contemplating the issue. It sells for R130. The wines are available online and at the Carrol Boyes Waterfront store at the Waterfront. For more, see www.carrolboyeswines.com. As South Africans discover there is more to white wine than Sauvignon Blanc, Chenin and Chardonnay, the joys of Riesling are unearthed. Once savoured, many become lifelong fans, eschewing chenin’s fruity charms and chardonnay’s complexity for the delicate crispness of a Riesling, its flintiness offset – sometimes – by whiffs of kerosene alongside the acid/sweet balance. 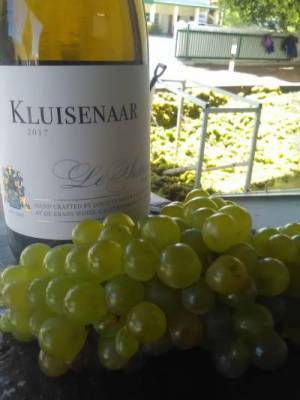 The Paul Cluver Estate Riesling 2017 presents no trace of petrol, a characteristic probably disliked by many - which could be why cellarmaster Andries Burger works to omit it. But the typical Riesling waxy notes are both on the nose, and present on the palate, which is delicate, crisp, with flint and sweetness in elegant balance. With alcohol levels at a pleasing 10,5%, this is a wine that could complement several courses of a high summer lunch from crisp squid with green apple alioli to duck with fennel salad. Rieslings are such companionable wines for a wide range of fare. The press release does not reveal the age of the vines, but I would hazard a guess that they are fairly mature. Paul Cluver has long been renowned for their beautiful Rieslings and this is one that will endorse the status. It sells for R100 from the farm’s tasting room and can be bought online at https://www.shop.cluver.com/buy/wine. The estate has also released its first Noble Late Harvest in three years, which is the second of two styles of Riesling being made at the cellar. Not having tasted it, I cannot comment but previous vintages have been very highly rated. 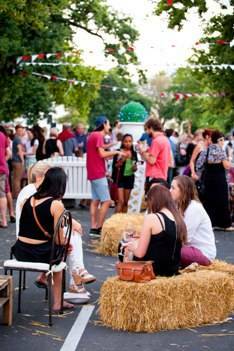 Harvest fun, eastern wine show, cheese fest and more as the advent of autumn heralds mellow days and cool nights. The events are in date order. This popular one-day family fest takes place on Sunday March 4 with plenty of action alongside great wine, pop-up food stalls and live music. Grape stomping, performing artists, a visit by cheetahs, tractor rides and golf challenges are all on the menu. The annual baptism of the new Chardonnay at 12 noon will precede tastings from the barrel and cellarmaster Nico Grobler will do the honours. Plenty of entertainment for children too, so parents can relax. Tickets cost R120, available at the gates, and under 18s go in free. Gates open at 10am . The ninth FNB Mpumalanga Wine Show takes place at Emnotweni on March 8 and 9 . Around 200 great wines from top Cape producers will see guests connect with the winemakers and sample a stellar collection of bubbles, red, white and rose wines. Visitors can stock up their favourite wines at show prices through the Shop@Show facility. Tickets at the door and from Computicket.com. Entrance tickets cost R100, tastings are charged at special festival prices. To book and for more info contact Jean-Mari reyneke at 021 865 2330 or email taste@muratie.co.za. The terrace at the estate Tasting Room will make the venue for an appetising three-course harvest lunch throughout the day on Saturday March 24. After a welcome glass of L’Ormarins Blanc de Blancs 2012 guests will enjoy the brilliant Cape of Good Hope wines with their meal. 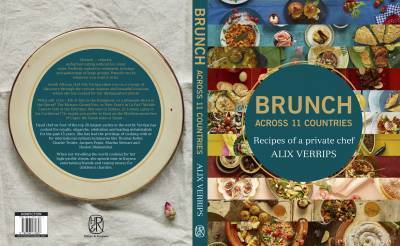 The menu incorporates elements of the grape, such as verjuice, raisins and vine leaves. 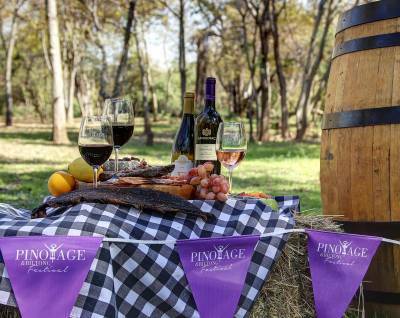 Vergenoegd estate makes the venue for a Pizza & Wine fest over the weekend of April 21 – 22, from 11am – 4pm. Live music and superb wines will accompany the pizzas, while parents relax while children are entertained with fun activities. Producers will pour a selection of fine wines and guests can purchase their choice to take home. Tickets cost R180 for adults and R60 for children which includes tasting glass and five tasting coupons. Also on offer are VIP tickets at R300 which allow unlimited offerings of the Runner Duck range and exclusive seating area. Book directly via www.webtickets.co.za to avoid disappointment as tickets are limited. 2018 Barrels & Beards day at Bot River. The date to diarise is Saturday April 21 when the end of harvest is celebrated at the Bot River wineries, this year focussing on a Taurean theme of the bull. Proceeds from the auction of Bot River wines benefit various educational projects in the region. The dinner will showcase local produce and specialities. The annual Beard-off contest sees judges deciding on which winemaker is voted owner of the year’s Best Bot Beard. The festival venue is Wildekrans Estate, starting at 5pm. Tickets cost R450 for adults. Online tickets obtainable through www.quicket.co.za. For enquiries and pre-bookings contact Ilse Henderson at Wildekrans Wine Estate at 028 284 9488 or email ilze@endlessgroup.co.za. 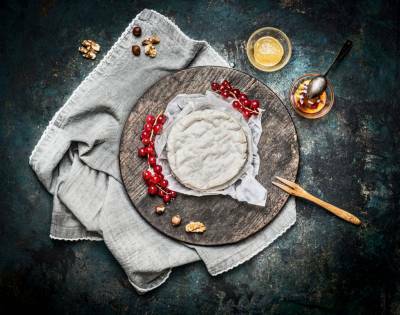 Agri-Expo has announced that the 2018 SA Cheese Festival, taking place over the Freedom Day long weekend from April 27 – 29 at the usual venue, Sandringham, off the N1 will be a water-wise event. In response to Wesgro’s call to keep the Western Cape economy growing and create jobs, Agri-Expo has consulted roleplayers to find ways to minimise impact on water resources, by removing the festival from the water grid. Temporary chemical toilets, borehole water, drinking water from non-drought areas, waterless recipes for cooking demos are some of the items that visitors will find. Tickets are available at Computicket (online and in Shoprite and Checkers stores) at R180 per person per day. Senior citizens pay R120 and children from 2 to 13 years pay R20. No tickets will be sold at the gates. A decade of vinous generosity and a centenary of caring. One hundred years on we look back at 1918 with compassion. Europe, Britain and Commonwealth countries were still reeling from the aftermath of World War One as the Great ‘Flu pandemic swept across the globe, arriving in South Africa in September, and claiming some 140 000 lives over the next two years. In the wine industry the establishment of the KWV was probably the event of note, while across the winelands, many small towns were left with destitute orphans in the wake of the ‘flu . Robertson – then a small farming town of about 3 500 inhabitants - was no exception…. A home, Die Herberg, was started in a private house, and, as the number of children increased, moved to new quarters when the municipality donated several hectares to the cause. A neglected apricot orchard occupied much of the site. A century has passed and today Die Herberg cares for just over 120 children of all races, from birth to 18 years of age, in seven homesteads. State grants cover one-third of the costs so fund-raising is essential and ongoing . In 2003 stone fruit prices had fallen because of a flooded market while bottled wine sales had risen substantially, post 1994. Local wine farmers, eyeing the fertile soil , offered to replace the orchard with a vineyard that could become a source of income through fine wine. Local businesses provided equipment and products, farmers provided vines and expertise and three red cultivars were planted. This, the start of an unique fund-raiser, presented an impressive example of generosity, selflessness and compassion by the Robertson community. It fell to Springfield estate to tend the vines and make the maiden blend of cab franc, cab and merlot in their cellar, the Bruwers offering their facilities and services free of charge. The wine was named Thunderchild : Just as storms are usually followed by sunshine, and the destruction they can cause can also herald new life, the parallel was drawn with children who came from homes where dark and threatening clouds affected their lives. They have exhibited the ability to overcome sadness and darkness and shine brightly when given love and care. Today many of the children are from such homes, rather than being orphans. When I wrote about the project in 2008 I predicted that when Die Herberg marked its centenary in 10 years time the 2008 vintage of Thunderchild would have probably reached its peak in time to toast 100 years of caring. What I did not forsee is just how rapidly the project blossomed, as substantial sales of the wine locally and internationally see impressive revenue flowing to the Home. Thunderchild is managed by the Wingerdprojek Trust and 100% of profits and proceeds from the sale goes to Die Herberg’s educational trust. Only hard costs – vineyard supplies, labour and packaging – are recovered. Marketing and sales are done by the community pro bono. Here the extraordinary and ongoing efforts of Jeanette Bruwer of Springfield estate cannot be over emphasized – thanks to her efforts , Thunderchild is sold in the UK, Netherlands, Ireland, Germany, Switzerland, China, Botswana and Namibia. National sales continue to be substantial, with Investec pouring it for their functions and, Woolworths stocking it in their upmarket stores. Jeanette is always quick to point out local support by wine stores, restaurants and bars and retailer Woolworths has contributed greatly. Several cellars in the Robertson region and further afield stock Thunderchild and display the bottles and their story prominently in their tasting rooms. In need of a warm fuzzy feeling? Then be inspired by the reports of how the Trust funds have benefitted children over the last decade. One important decision with huge impact was to ensure that every child leaves the Home with a driver’s licence, something not paid for by government funds. Teenagers finding employment and apprenticeships in trades after school are at a great advantage by being able to drive.. The fund pays for a fulltime tutor to help with homework and studies and provide extra maths classes for all. By 2017 five children had enrolled in universities or colleges of their choice, and not only their fees, but books, meals and pocket money were covered by the fund. Those shining at sport have been funded to take part in competitions including an overseas rugby tour to England and Scotland and a dancing competition in Croatia. Others who have special needs are also given the best chance to succeed: Currently 25 of these children are at special needs or technical schools in neighbouring towns as Robertson lacks such an institution. Thunderchild transports them on a weekly basis, pays tuition fees, board and lodging. .As Jenna Bruwer put it, every child has the potential to change the world : The Thunderchild Project aims to unlock that potential in those at the Robertson Children’s Home . Winelovers who watch their budgets – and that surely applies to most of us – no doubt know the fine wines of Waterkloof, as well as that striking building housing gourmet restaurant and cellar on the slopes of the Schapenberg high above the azure waters of False Bay. But while they have savoured them on special occasions, comparatively few are likely to enjoy them as regularly as they would like. 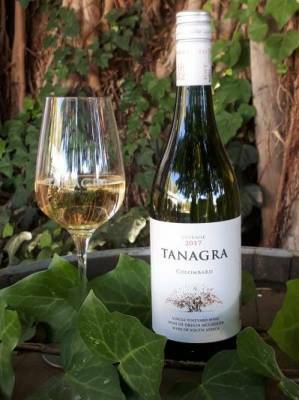 Barnard says that they have found better sources for the grapes used in the range and have marked the improvement with new labels that are both attractive and informative: The chenin blanc is adorned with a snail to accompany its name Slow Chenin Blanc 2017. The back label expands on the traditional methods used , where the fruit from old vines is fermented with wild yeasts found naturally on the grapes and that the winemaking process takes a least six months. The grapes were sourced from three bushvine vineyards, one 40-year-old from the Swartland, the other two from mature Stellenbosch vines. The result is quite delicious, a chenin whose fragrant aromas envelop one on unscrewing, followed by stone fruit flavours on the palate. Its elegant, there’s old vine structure lurking there, all balanced nicely by a welcome freshness. he Old School syrah 2017 also impresses hugely. The only wine in the range that has alcohol levels as high as 14% this was sourced from two Stellenbosch vineyards, one in granite, planted in 2000 and the other in sandstone in 2005. Given the same attention and using the same methods as all the wines in this portfolio, there is plenty of fruit, a little white pepper and smooth and accessible tannins. Owner Paul Boutinot has been on a mission to find and rescue old, under-appreciated vineyards with potential since 1994, in order to transform their fruit into wines made with minimal intervention, using wild yeast sans added. acid... Trendy now, but not then ! Waterkloof estate is one of the Cape’s prized showcases, from the sustainable farm, a conservation champion which achieved fully certified organic and biodynamic status 4 years ago, to its cheese tastings, fine Gallic dining, walking tours, horse riding, even an art collection to contemplate – and a range of quality wines, this one offering extraordinary value for money. All the False Bay wines retail at R58.and are widely available from small retail outlets. Long, languorous summer days seem to demand a Cap Classique and the current trend of rosé bubblies just adds positive energy to the sharing of beautiful bubbles. There are many good examples on the local market, with the L’Ormarins non-vintage MCC a delicious choice to have in your cellar or fridge, ready to impress and please from noon to midnight. Rosy-hued, a fine mousse, bright berry aromas lead to a satisfying explosion of long-lasting bubbles. Crispness and berry fruit flavours are followed by cream and biscuit notes, and this all adds up to an irresistible non-vintage classic MCC, L’Ormarins Brut Classique Rosé, from by Anthonij Rupert Wyne in Franschhoek. The pinot noir component of 58% is sourced from four vineyards – mostly from the home vines, with the rest from Elandskloof, Darling and Robertson. Most of the 42% chardonnay contribution came from the Darling area, with the remainder from L’Ormarins and Robertson. With alcohol levels at a moderate 12,5%, this pinot noir/chardonnay blend makes the perfect partner to any romantic occasion, and can complement gourmet picnics, al fresco brunches, lunch, supper, high tea or just make a sundowner to remember. At R120, it offers good value as well. FEBRUARY FOCUS ON HARVEST, FINE FARE, GREAT WINE AND LOVE! Start the shortest month of the year in style. Book your tickets for Franschhoek Summer Wines taking place on Saturday February 3 at Leopard’s Leap Family Vineyards. This is a showcase for the Franschhoek Vigneron’s choices for summer, comprising a selection of white, rosé, Cap Classiques and light red wines. Chef Pieter de Jager and his team will be on hand to present delicious fare that not only matches the wine, but the weather too. Live music will add the final touch to a perfect day out in the Franschhoek Wine Valley. Keep things cool, and dress elegantly in white. Tickets, cost R220 per person, and can be bought via www.webtickets.co.za. Pre-booking is essential as tickets are limited. The cost includes entry, a complimentary tasting glass and 15 wine tasting coupons, which can be redeemed on the day of the show between 12 noon and 5pm. 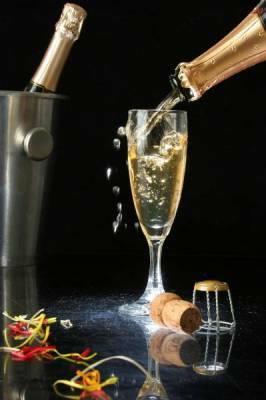 High tea and bubbly or a sparkling tasting and pairing of three MCC’s with nougat crafted to complement the wine.? Both these can be savoured by couples who visit the farm during February, and both make romantic interludes of the finest kind. High Tea for Two costs R180 pp and is served in the historic tasting room, where gourmet sweet and savoury items will accompany afternoon tea and a glass of L'Ormarins Brut Rosé makes the perfect finale. The estate has dreamed up a quartet of treats to woo visitors in February, which they term the month of love. The Valentine’s Wine Hamper comprises the estate’s renowned pinotage rosé, the chenin blanc and their sauvignon blanc, all 2017 vintage, packaged into a gift box at R250, selling from the Tasting Room during the entire month. Their Wine & Dine package consists of tutored tasting preceding a light lunch at the Lanzerac Deli. The trio of wines – as in the hamper above – will be followed by a ploughman’s platter for two, with home backed breads, cheese, charcuterie and preserves, plus a sweet finale . The cost is R300 for two and the package is available from February 12 – 18. Add a luxurious spa treatment for two to the above package and you get the Couple’s Escape package, available for the same week for R800 per couple. Or, go one step further and add a Back Couples massage to the tasting and, for R950 you experience the Spa Couple’s Retreat Package, offered from February 12 – 18.
. For bookings and more info, please contact Eske Cilliers on winesales@lanzerac.co.za or 021 886 5641. HANDS ON HARVEST CELEBRATES THEIR 10TH BIRTHDAY AND YOU’RE INVITED! As always, the local wines flow, the country hospitality is warm and genuine, the valley fare is varied, delicious and the activities range from relaxed to strenuous! The cellars and the venues in Robertson, McGregor, Bonnievale and Ashton present programmes that explore the grape’s journey from vine to glass, present master classes in wine tasting, get visitors to blend their own wines, and that’s just the wine part! Log onto handsonharvest.com and compile your itinerary, then book online, and make space for the renowned Family Market on Sunday before you head home. Free entry and a fabulous array of stalls, activies, products, to sample and relish. This year the venue is Viljoensdrift and the fun starts at 10am and finishes at 2pm. Their delicious bubblies will be paired with oysters, gourmet street food, icecream and more, to a background of jazz. See how their award-winning Cap Classiques are riddled then move onto view co-host Jenna Clifford’s exhibition of her ROSE Collection at this glorious venue. Tickets cost just R50 and can be bought online using this link. PLATTER’S by Diners Club International: 2018 South African Wine Guide. Can you believe this is the 38th edition of this invaluable guide to wines, cellars, routes, restaurants and more across South Africa. And, as remarkable, is the fact that its capable, meticulous, urbane and modest editor has seen this, his 20th edition, launched at the Waterfront in early November last year. In his editor’s note Philip van Zyl briefly covers the scope of the guide, including recent additions to the information like GPS co-ordinates and acknowledges the efforts of his tasting team, one of whom, Dave Swingler, marks his 21st year of contributions. Of the approximately 8 000 wines assessed, a few make it through to a second and third round tasting, and from these the five-star wines emerge, and ultimately, the Wines of the Year. There is also a coveted award for Winery of the Year, this year presented to Raats Family wines. Highly recommended is another useful category to peruse, as are the Hidden Gems. Plenty of info for those looking for an industry overview, cultivars, competitions, as well as our wine regions, tours, restaurants and accommodation. The maps seem to be clearer this year as well. (And no, I have not acquired new spectacles). Recommended price around R260 and of course, in addition to the print version of this comprehensive and essential companion, the guide is also available as an app and a web-based edition. Wineland events in Jan and Feb -harvest, romance and summer celebrations. 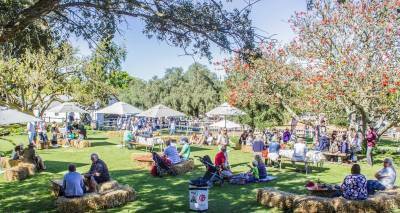 Harvest, romance and summer celebrations – the Boland lays them on! The annual Stellenbosch Harvest Parade will see the Cape minstrels, drum majorettes and brass bands take over the streets of the city of oaks on Saturday January 27. Marking the start of harvest season, its a tribute to the winemaking community, as decorated tractors and trailers from many cellars start their journey through town from 9am. A harvest blessing and awards ceremony takes place at the town hall an hour later. For more info, visit www.wineroute.co.za. The Delheim harvest celebration, a popular annual event, also takes place on Saturday January 27 and a few changes have been introduced to the 2018 programme. It’s a one-day affair this year, but still includes grape picking and stomping, good food, fine wine and live music. Guests will be seated at one long table and numbers are limited to 120 so early booking is advised. The fun starts at 11.30, with picking, and the ticket price of R650 includes a bottle of Delheim wine and lunch. Children's tickets cost R120, those under four get in free.To book, email charlotte@delheim.com or contact her at 021 888 4600. Cool elegance, white outfits and superb white, rosé, sparkling and light red wines are on the menu at Franschhoek Summer Wines, taking place on February 3 at Leopard’s Leap family vineyards. These refreshing wnes will be paired with delicious food, while live music will add final touches to a memorable day in the valley. Tickets, cost R220 per person, and can be purchased through www.webtickets.co.za. Pre-bookin is essential as tickets are limited. The cost includes entry, a complimentary tasting glass and 15 wine tasting coupons,. Now here's a novel pairing! 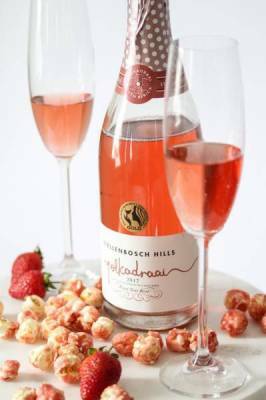 Popcorn may not be the first item to come to mind when contemplating Valentines month, but Stellenbosch Hills has found some gourmet flavoured corn to complement their Polkadraai range of wines. So for the month of love, the cellar will offer a delicious lineup that includes the sparkling Polkadraai Sauvignon Blanc Brut with banana-coated popcorn and their moreish Chenin Blanc/Sauvignon Blanc 2017 with salted caramel popcorn. Dark chocolate corn is paired with the Pinotage/Merlot 2015 while the Pinot Noir Sparkling Rosé enivens strawberry popcorn. The pairings cost R50 a head and takes about 30 minutes, although visitors are invited to try the other Stellenbosch Hills wines as well. As always, visit on a Friday, and buy five Polkadraa wines and get the 6th free of charge! Opening times are from 9am to 5pm and Saturday from 10am to 3pm. Pop and cheer! Book ahead by calling 021 881 3828. My admiration for those wineries which have taken the decision to go organic, both in vineyard and cellar, and get certified to that effect, is considerable and ongoing. Not only does it involve much extra work, both physical and written, but this worthy dimension adds substantially to the cost of wine production. Reyneke Organic Wines was the first South African wine farm to be certified as such for both grape growing and production. They have gone one step further, practising biodynamic viti -and viniculture on their Polkadraai farm Uitzicht. As most readers know, this means firstly that the vineyards are herbicide, pesticide and fungicide-free and, in order to be self-sustaining, they recycle wherever possible. They work in harmony with the moon, and study the constellations to create fine wines, working at nature’s pace, following natural and cosmic cycles. It all makes for a holistic environment in synergy with their vegetable gardens, animal husbandry and people, along with conserving pockets of indigenous fynbos..
Reyneke Biodynamic syrah 2015 has already impressed both local and overseas critics and understandably so. The nose, aromatic with berry flavours gives way to a palate where fruit and spices mingle, while substantial tannins, add weight. But the freshness and purity – consistently present in Johan’s wines – are there, adding up to well balanced complexity that will continue to develop over the next few years. Moderate 13% alcohol levels are in keeping. At R175 it’s reasonably priced, given its pedigree. 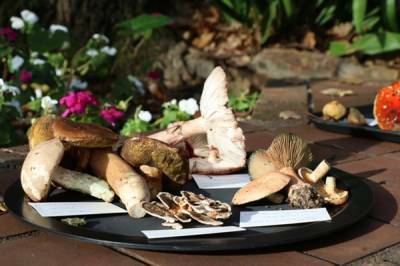 The biodynamic range consists of four reds and four white wines, and there is a pair of organic wines in addition. It’s worth noting that the farm is open for sales on weekdays,but visitors need to make an appointment for tastings, vineyard walks and cellar tours. Contact 021 881 3517. By Durbanville standards, this is a big farm, covering 840ha, supporting grain, cattle and sheep and, more recently, 50ha of vines. It joins others in the region which have celebrated their tercentenary, as first owner, that prominent pioneer Olof Bergh of the VOC was granted the land by Simon van der Stel as the 17th century drew to a close. It has taken present owners, fourth generation Brinks, André and Ronelle, years of hard work, renovation, restoration, and wine production to reach the stage when they held a media day recently, partly to mark 120 years of Brink family ownership. Simultaneously they celebrated the release of the new vintages in rebranded packaging, and of their maiden cap classique and pinotage. Unlike some of its fellow farms, Groot Phesantekraal is really rustic, with suburbia still some way from its boundaries (long may this continue). The family occupies the main farmstead, while the private tasting room still retains reminders of its early role as hen house. If the weather is kind, visitors can settle on the terrace for wine and order a cheese and charcuterie platter. The airy restaurant – one of the oldest buildings - spent its first 250 years as a stable – and the feeding troughs attest to that, as does the old stone floor – where 10cm heels are not recommended! ChefJean van Deventer presented an early spring menu, that included braised pork belly with Dauphine potatoes, roasted onion puree, apple chutney and fried polenta with beer-battered veggies as a vegetarian option. There was well spiced kabeljou paired with chorizo and a sweet potato risotto, and dessert of apple frangipani tart with roasted apple cinnamon icecream made a fine finale. I would head to this venue for their Saturday morning brunch, as the menu is tempting, and prices, while not in the budget category , are acceptable given the quality of fare. As I arrived at the farm late, I missed out on a flute of the new cap classique (R120) made by winemaker Etienne Louw, formerly of Altydgedacht. But my colleagues all enjoyed their welcome bubbly, as I did my tasting sample. Louw also made the 2017 Groot Phesantekraal sauvignon blanc 2017, (R72) which has already garnered a Veritas Double Gold and made it to the Top 10 in the Sauvignon Blanc awards. It is a beautiful wine, presenting a complex mix of fruit, both tropical and citrus blanced by crisp but not over-acidic mouthfuls – there's less of the distinctive dusty Durbanville verdancy which characterises many of the valley’s sauvignons. I only managed a couple of sips of the 2017 chenin blanc, sourced from 55-year-old bush vines , but I wish I could have tasted more of this dry, fruity, heritage wine, selling at R50. Ditto the 2015 cabernet which has attracted gold from Michelangelo and is, by all accounts, both accessible yet elegant, and priced at R120. The farm’s flagship white is their Anna de Koning chenin blanc 2016/7, a barrel-fermented single vineyard limited release that is rich, offering concentrated fruit and nuts , opulent, elegant, and a worthy addition to the present generation of fine wooded chenins. mostly found in the Breedekloof and Swartland regions. Its a wine that could well complement Middle Eastern specialities where fruit and nuts add flavour and crunch to layered rice and chicken or lamb. At R120 its an affordable addition to our ever-increasing choice of champion chenins. I did not get to taste the farm’s pinotage Berliet 2016. Groot Phesantekraal is off Klipheuwel Way, and its contact number is 021 825 0060 It’s great to have another beautiful Durbanville farm to add to the hospitable collection across the Tygerberg, and this destination is one that both history buffs and wine lovers will enjoy immensely. South Africans and those who come from afar to visit our parks and reserves have been reading about and viewing the wanton destruction wrought there in the present century, often with a feeling of helplessness as well as fury. Plenty of facts in this paperback to add to those sentiments, but also some positive data to offset the gloom as we read of the extent of international awareness and the gradual increase in African realisation of the benefits of eco-tourism. Africa is the only continent that survived the disappearance of the world’s megafauna, as early humans migrated from Africa to the rest of the world. Clarke sets out to describe how this happened using the term “overkill” to mean anything done to excess. In North America the European settlers extinguished whole species as they migrated southwards while similarly humans in Europe and Asia shared in the global overkill – all comparatively recently, geologically speaking. But in Africa – the continent from which humans originated – this did not happen, and the fauna survived because of, rather than in spite of, the hunters. This was because the big mammals had watched humans graduate from stone-throwing hunters to athletic spear throwers and on to using more sophisticated weapons and learned to keep their distance. But in the 19th and 20th centuries this changed as hunters practised “overkill” – slaughtering all they could for the fun of it. Their exploits, proudly published form the mid-1800s onward, make sickening reading. With lion populations in steep decline today, Clarke muses that the well-reported killing of Cecil , the renowned Zimbabwean black-maned lion and subject of a research project at Oxford University resulted in international disgust and the start of laws prohibiting the import of hunting trophies in both the USA and the EU. The elephant slaughter is dealt with next, followed by that of the rhino, with the huge demand from China and Vietnam for horns. The shameful story of the recent exploitation of marine life and the pollution of our oceans presents equaly horrifying reading. On the positive side, a year ago, in January 2017 , China announced its reduction and gradual closing down of the ivory industry which was a huge step toward saving the surviving elephant population.Fusing protected areas into mega-parks across Africa is another hopeful sign. Clarke has been writing articles and books with environmental themes for decades, and writing for newspapers since he was 16. He is one of the three founders of the Endangered Wildlife Trust and one of the most readable of journalists, and his new title confirms this. Winelovers make Christmas gift shopping painless for the giver, especially if their preference in wine styles is known. If budgets are limited to under R100, the choice is still huge, as there are dozens of good quality, enjoyable Cape wines that sell for less – sometimes a lot less. Wines that offer something extra include the Anthonij Rupert Protea labels while the range is wide enough to suit every taste. These are wines that are meant to be drunk soon, and they come in bottles designed to be re-used, or upcycled as their marketing department terms it . As the bottles are all decorated with attractive floral designs in white, they can be re-used to make attractive tumblers, vases and other items, given the talents of professional glass-cutters. The bottles also sport Helix closures, which are usually only found on pricier wines. This innovative design combines cork and glass in a resealable top , as the twist-out cork can be closed by hand in the threaded bottle neck. The range consists of four whites and a rosé, selling for between R50 and R60 and three reds are priced at between R60 and R70. Find them at the Franschhoek farm or a select outlets countrywide. With chenin blanc now firmly established as the cultivar that not only celebrates more than 350 years of Cape history and not only occupies more SA vineyard area than any other white varietal, but that produces top chenin blancs that are being recognised across the globe as the best on the planet. Confirmation of this can be seen in the rave reviews and points awarded to our chenin blancs from acknowledged experts – recently UK guru Tim Atkin MW awarded the trio of 2016 Mulderbosch Single Vineyard chenins scores of 96 (Block A), 95 (Block W) and 93 (Block S2) respectively in his 2017 Special Report on South African wines. While the Swartland has happily claimed to be home to the finest chenin terroir, Stellenbosch has quietly been upping its chenin blanc production to prove that this pioneer region can – and does – produce exceptional chenin blancs. The Mulderbosch trio is a good example, each chenin offering a distinct expression of place, with Block A - sourced from the southern slopes of the Bottelary Hills - perhaps the friskiest, with exotic fruit aromas followed by dry but concentrated fruit on the palate. Vineyard Block S2, whose grapes came from the northern slopes of the Bottelary Hills, is more complex, its golden hue offering hints of the power ahead. Dry and savoury, the nose of caramel is as rich as the flavours that follow, and there’s a saline hint in the mouthfeel and long finish. A connoisseur chenin to savour now or squirrel away for a future occasion. Block W also presents a hue of deep gold and is probably the most complex chenin of the three. The vineyard that produced these grapes is sited in granite close to False Bay. A wealth of fynbos and herby aromas leads to citrus and flint on the palate in a rich, powerful but well-balanced wine. All the vines are more than 30 years old, and the fruits of all three were harvested in the same way, being whole- bunch pressed. Used 225litre French oak was chosen for fermentation and maturation. These limited editions make wonderful festive gifts for Christmas and fine partners for New Year al fresco fare. They are also likely to produce yet more SA chenin fans who will sing the praises of our superb chenin blancs. The recommended retail price is R250 each. A welcome newcomer was released at Morgenster estate last month when Giulio Bertrand and his team presented the maiden Vespri 2017 to media and friends at his hillside tasting pavilion. The first white in his Italian opera-themed collection, Vespri is produced from Vermentino grapes, a Sardinian cultivar that is starting to make an appearance at the Cape, although Morgenster’s vineyard is still in its infancy. Named for Verdi’s opera VespriSiciliani , the new addition is bright lemon in hue in spite of its youth. It is fresh and dry with notes of flint to balance stone fruit flavours on the palate, moderate alcohol levels reflecting current tastes, Above all this, like nearly all Italian labels, is a wine made for food, to complement summer fare of seafood, salads and antipasti. It is the ideal partner to festive tables of al fresco Mediterranean dishes, lingered over at long tables in deep shade. Vespri is a lightweight companion to Tosca, Nabucco and Caruso, rounding off the two reds – former of Sangiovese with Bordeaux blends and with Nabucco starring Nebbiolo - along with Caruso, a rosé of Sangiovese. Now there is a quartet that can elevate every culinary occasion. Vespri costs R120 from the farm and their online shop http://morgenster.co.za/ and is also available from selected retailers.